The Du Bois family of New York, are descendants of Chretien DuBois(b.ca 1590) and his wife Francoise le Poivre. He was a prosperous middle class linen merchant and devout protestant from the village of Wicres, outside of Lille, in northern France.. Chretien was the father of seven children:Francois(b.1622), Anne(b.1624), Louis (b.1626-d.1696), Jacques (b.1628-d.1676), Antoine, Philippe and Toussaint. Our Descendant, Chretien, came from WICRES, a small town in Normandy near Lillie and part of City of Artois. This area was under the control of Spain until 1659 when it was handed over to the French. The King of France was Louis XVII who had strong beliefs that France should be Catholic and non Catholics should not be tolerated. This lead Louis XIV in 1685 to revoke the Edict of Nantes. This was drawn up in 1598 after brutal religious wars between the two sides and allowed the Protestant Huguenots to be tolerated. This was a reason why Chretien’s son, Jacques, a Huguenot needed to leave Flanders in 1675. He settled along with many other Huguenots in Leyden, Netherlands which was accepting of them. In fact he was married in a Walloon church in Leyden. DUTCH must have become his language soon after his move. The Reformation, was a movement started by Martin Luther in 1517 in opposition to the Liturgy of the Pope and the Roman Catholic Church. The French Huguenot movement started in the mid 1500’s mostly influenced by the writings of John CALVIN. The 1500’s were not a pleasant time. With developing religious conflicts many wars were fought over our Christian religious beliefs and systems of worship in England, France, Netherlands, Spain and Germany. The 1600’s were also a time of instability and change among power of the European countries. England which was weak became stronger under Henry IV and Queen Elizabeth, Spain which was strong under King Phillip became weaker with destruction of its Armada and attempt to invade England in 1588. France under King Louis XIV became stronger and Catholic and reversed its position on toleration of the Presbyterian Huguenots in 1685. 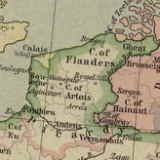 The Netherlands became free of Spanish control, and independent. The mid 1500’s and mid 1600’s was also the period of exploration and discovery by the European powers of the “New World”. In 1492 Columbus, an Italian but under the command of the Spanish Queen Isabella and King Ferdinand sailed the ocean blue in an attempt to get to Asia. After this there was continued Spanish exploration and control of Central and South America by several explorers including Vasco Nunez de Balboa, Francisco Pizarro, Juan Ponce de Leon, and Hernan Cortes. This included part of what would become the United States (Florida, California, and Texas). This Spanish exploration returned tremendous riches from the Gold and Silver it was able to bring back to the King Phillip. The English with John Cabot explored and claimed the area from Nova Scotia to Maine and Massachusetts. They also were controlling many of the Islands in the Caribbean area. The French were exploring Eastern Canada and fur trade. The Dutch were settling the New York area, Brooklyn, Manhattan, and up the Hudson. It was the start of the migration of Pilgrims from England to New England looking for religious freedom.. In 1620 the Mayflower sailed from England and landed at Plymouth. After this many English Pilgrims came to the Boston area having left England (many sailed from Leydon.).. All this was occurring as Jacques Du BOIS made his way from Wicres, in Normandy in 1660 to Leyden, Holland, and then to Kingston, New York in 1675 and settled there as a Dutch immigrant with his wife and children. He did not join his older brother, Louis, who had emigrated earlier from Germany and settled as one of the founders of New Paltz. He was one year old when the family immigrated from Leyden Netherlands in 1675 to Kingston, NY. About 1707 Pierre, now 33, moved to Fishkill, NY which became his home. He married Jannetje BURHANS also of Fishkill and they had nine children. Peter DuBois (born 1674), was a founder of two churches at Poughkeepsie and Fishkill, NY and for more than 20 years, his name appears as a prominent ruler of both. He also founded a Union of Churches that continued until 1772. He built a stone house which still stands, 3 ½ miles from the village of Fishkill on the west side of Sprout Creek. It was a mansion in its time, with a wide hall, sitting room, parlor, and bedrooms in the main part. The large kitchen, with mammoth fireplace, and rooms for the colored servants were in the wings. This Peter DuBois, born in 1674 and believed to be a direct forefather of our family, died January 22, 1737 at age 63 years. In 1714 his name is registered in the list of inhabitants of Duchess County. 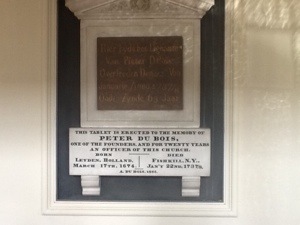 His tombstone is still to be seen in the churchyard of the Dutch Reformed Church at Fishkill village with a Dutch inscription of his birth and death. “This Dutch inscription is to even remind his descendants that he claimed Holland, under whose protection he was born, as his fatherland. The sons of Huguenots have no portion in the lands of their forefathers, and no right of inheritance in France. Driven from her soil, they took away with them nothing but their selves..
JOHATHEN Du BOIS was the fifth child of Peter and Jannetje Du Bois and was born in Kingston, N.Y. in 1704. He married Ariantje OUSTERHOUT and settled on land inherited from his father, east of Sprout’s creek, near Wappinger Falls, N.Y. He apparently farmed this property (464 acres!) and died “respected and esteemed.”. He and is wife produced eight children. PETRUS (Peter) Du BOIS was the first child of Johnathen and Ariantje Du Bois. He was born in 1734 in Kingston and married Maria Van VOORHIS. He inherited land from his wife’s father and farmed the land during his life. He died at age 39 from an accident when he was thrown from a horse.. Petrus and Maria had five children. Two years after his death, his widow, Maria remarried Dr.Theodorus Van WYCK. Her sister, Barbara Van VOORHIS had married Richard Van WYCK, a first cousin of Theodorus who was an ancestor of Maria Louise Dixon Du Bois my mother. Theodorus became the stepfather of Maria’s children. Dr. Doros Van Wyck made it his home with his father-in-law, Co., John Brinckerhoff. During the Revolution, it was occupied jointly with the Jay family. It was in this house that Peter Jay and his wife Mary Van Cortland stayed early in the Revolution to escape the dangers in Rye. Mary died here and was buried in the Vault of Gysbert Schenk. “Fishkill played an important role during the Revolution. The Van Wyck House stood in the center of the Fishkill supply depot, which occupied a crucial pass on the road between New England and the rest of the colonies. The 4th New York Provincial Congress, driven from White Plains in August 1776, met first in Trinity Episcopal Church. When the delegates complained of birds flying in and out of the glass-less windows, and of the lack of pews and other comforts, they moved down the street to the Fishkill Reformed Church. Part of the New York Constitution was written here, though some suggest that it may have actually been written across the street in Connors Tavern (where Ketcham Motors is now located), which offered tables, heat, and tankards of inspiration. Cornelius was the first generation of our Du BOIS family to live away from the Fishkill area and he settled in New York City. He was also the first generation after the Revolutionary War and the establishment of the United States. The oldest was MARY ELIZABETH (1805-1881) who married Francis C POTTER. He died soon after they were married and she married Edward Sherman GOULD. They had two children. 2065. Mary E. Dubois b. Aug. 3, 1805; d. ;istm. 1827, Francis C. Potter, b. ;d. 1829; 2d m. June 17, 1833, Edward S. Gould, b.May 11, 1805; d. Feb. 21, 1885; son of Judge James Gould and Sally McCurdy Tracy, his wife, of Litchfield, Conn. CHILD—First Marriage (Chart 30): 3425. Cornelius Dubois Potter, b. 1828; d. 1829. CHILDREN—Second Marriage (Chart 30): 3426. Sarah Gould, b. Apr. 20, 1834; d. 1867. 3427. Edward Sherman Gould, b. Aug. 13, 1837; m. Sept. 23, 1868, Arabella Duncan Ludlow, b. 1844; dau. of Dr. Edward Greenleaf Ludlow and Mary Kennedy Lewis, his wife. He is a civil engineer in the employment of the Spanish Government. They have 4 children. Bio author: The Twentieth Century Biographical Dictionary of Notable Americans: Volume IV Johnson, Rossiter, ed. Twentieth Century Biographical Dictionary of Notable Americans, – Vol. I-X (10). Boston, MA: The Biographical Society, 1904. 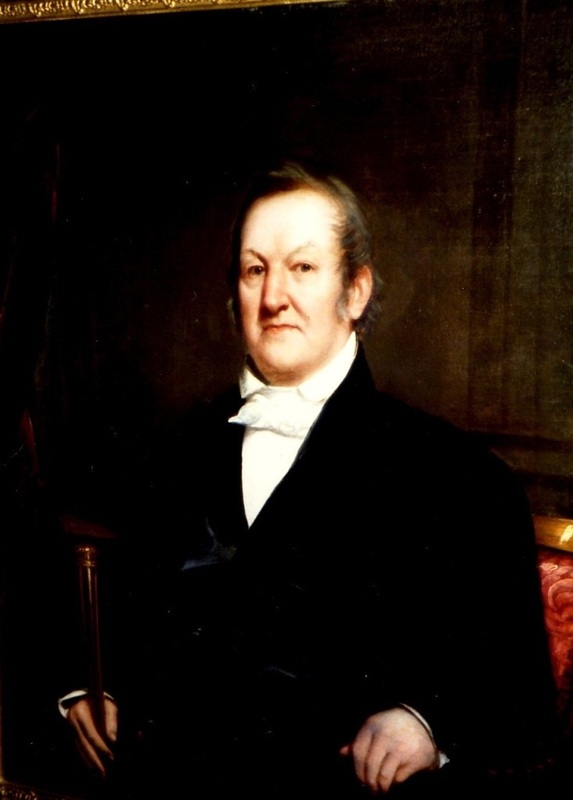 GOULD, Edward Sherman, author, was born in Litchfield, Conn., May 11, 1808; son of Judge James Gould. He removed to New York city and engaged in literary work, contributing to the Knickerbocker Magazine; to the Literary World; to the Mirror; to Charles King’s America, under the pen name of “Cassio “; and to several other periodicals. In 1836 he delivered a lecture before the NewYork mercantile library association, entitled, “American Criticism of American Literature.” In addition to translations from Dumas, Dupré Balzac,Victor Hugo, and A. Royer, he published: The Sleep Rider; or, the Old Boy in the Omnibus, by the Man in the Claret-colored Coat (1842); an Abridgement of Alison’s History of Europe (1843); a comedy The Very Age (1850); John Doe and Richard Roe (1862); Good English, or Popular Errors in Language (1867);Classical Elocution (1867); and a Supplement to Duyckinck’s History of the New World (1871). He died in New York city, Feb. 21, 1885. The second child was HENRY AUGUSTUS who married Catharine Helena JAY. HENRY AUGUSTUS Du BOIS was the second child of Cornelius and Sarah Ogden Du Bois. He was educated in Paris and then went to College of Physicians and Surgeons for his M.D. He returned to France to study medicine and then returned to New York in 1834 a year before he was married to CATHARINE HELENA JAY, the granddaughter of John Jay. He practiced in New York until 1840, and because of poor health retired. His father obtained land between the banks of the Mahoning River in Ohio which he gave to his son, Henry. From 1840 to 1854 Henry and Catharine lived in the new community, Newton Falls, Ohio. During this time Henry became president of the Virginia Channel Coal Co. They moved back to New Haven in 1854, where he lived until he died at age 76. After their return to New Haven in 1854, it was the time of the horrible Civil War in the United States (1861-1864) This threatened to split the country apart and resulted in so many deaths and disabilities of the young men of the North and the South. Henry and Catharine’s two oldest two sons were caught in this: Cornelius was severely wounded during the second day of Gettysburg and saved by his brother, Henry. 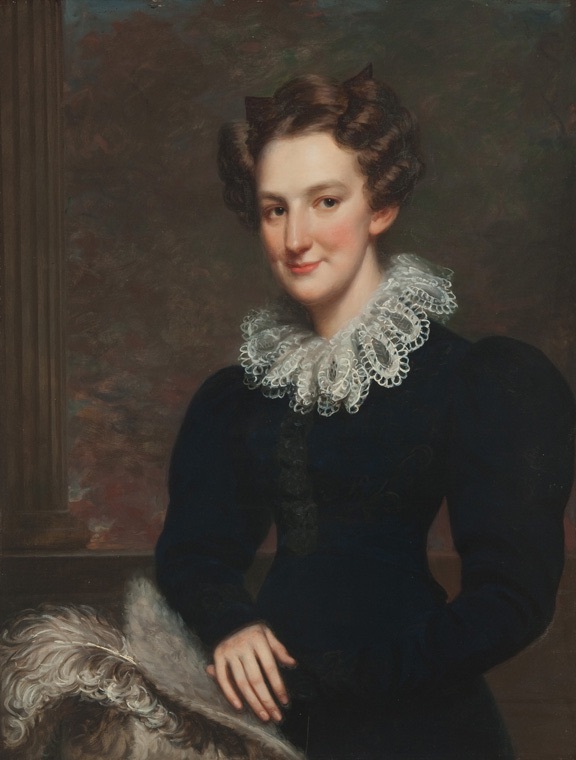 CATHARINE HELENA JAY, was the third daughter of Peter Augustus Jay and Mary Rutherford Clarkson. She was the granddaughter of John Jay and Sarah Livingston. She was the fourth generation since the original settler, Auguste, a Huguenot came to Charleston, S.C. in 1690 escaping the religous persecution in France. The couple had six children, two of whom were active in the War between the States. She died at age 74 crippled with arthritis in New Haven, Ct. The third child was CORNELIUS (1810-1882) He married Mary Ann DELAFIELD and they had four children that survived infancy. The fourth child was SARAH PLATT (1813-1897) who married Dr Alfred WAGSTAFF. By the early 1800’s, several wealthy New York City residents began to build summer estates in West Islip. One of those men was Dr. Alfred Wagstaff, who was born in New York City in 1804. 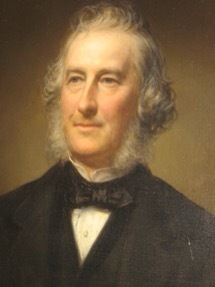 His father, David Wagstaff, was an English immigrant who made a fortune as a notable merchant. After attending Columbia College Medical School, Dr. Wagstaff started his own practice in New York City. He also traveled extensively throughout Europe and managed the finances of his privileged family. By 1859, Wagstaff had purchased a large portion of West Islip land on both sides of what is now Montauk Highway (at that time it was South Country Road). 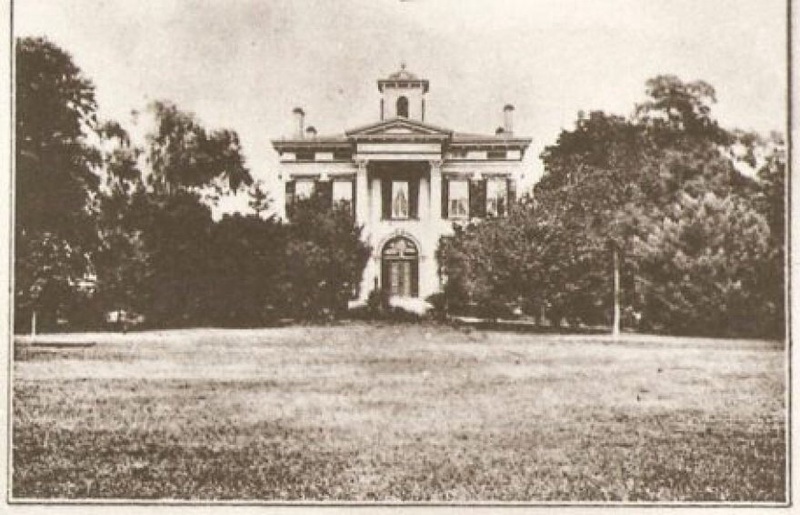 The land was alongside a pond -which formed Willets Creek-so when he built his summer estate he named it Tahlulah, an Indian word for “leaping water.” Wagstaff was the largest landowner on Long Island until the Vanderbilts arrived 20 years later. His land stretched from the creek all the way to where Howell’s Road is today. He moved to West Islip permanently in 1870 and spent his days fishing with his family, riding one of his horses or at the newly opened South Side Sportsmen’s Club in Islip until his death in 1878. His family continued to reside in West Islip. Wagstaff left behind his wife Sarah Platt Dubois, and their four children: Sarah, Alfred Jr., Cornelius and Mary. Eventually, all of the children had homes built on the Wagstaff land. Alfred Jr. and his wife, Mary A. Barnard, named their home Opekeepsing, the Indian word for “safe harbor,” which is where they raised four sons and a daughter, Mary, who was married at Tahlulah in 1914. Alfred Jr. was the most famous of the Wagstaff children. He was born in 1844 in New York City and was about to attend his father’s alma mater, Columbia, when the Civil War started. At just 19-years-old, he was commissioned as a Colonel in the NYS National Guard. In the next two years, he volunteered for service under the Federal flag, rising to Lieutenant Colonel, which led to his life long title as Col. Wagstaff. When the war ended, he completed both college and law school at Columbia. Even though he went on to become a partner in the New York City based firm of North, Ward and Wagstaff, he also pursued politics. He served as New York State Assemblymen in Manhattan from 1867-1873, then Senator from 1876-1878. He also served as Clerk of the Appellate Division of the New York Supreme Court while also serving as president of the S.P.C.A until his death in 1921. Their youngest and fifth child was GEORGE WASHINGTON. His mother had chosen the names for the first four children, and his father, Cornelius, wished to name the fifth. He was told by his wife that he was to pick three biblical names and one other and she would choose from the four. He chose Shadrack, Mischack, and Abednigo and George Washington!! George Washington DuBois (1821-1910), youngest son of Cornelius DuBois (1771-1846), attended Princeton and graduated from New York University in 1843. He attended the Episcopal Theological Seminary at Gambier, Ohio, and in 1846 became a deacon. In 1847, he was ordained a priest of the Episcopal Church, and later that year traveled extensively, ministering to parishes in Ohio, Minnesota, Iowa, Pennsylvania, Delaware, and New York. 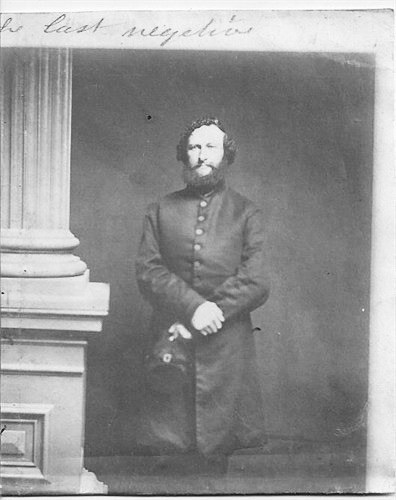 During the Civil War, DuBois served as chaplain to the 11th Ohio Infantry Regiment. DuBois married Maria “Mamy” Coxe McIlvaine; they had eight children, including daughter Mary Cornelia DuBois (1864-1920). In 1885, Reverend DuBois built a small chapel named Felsenheim in Keene, New York. Of interest is that he was the chaplain to the small church in Newton Falls, Ohio when his brother Henry was living there. Henry was one of the people responsible for building the church. Catharine Helena JAY’s Grandfather of course had been very much involved in the Colonies separation from England and the development of our Democracy. 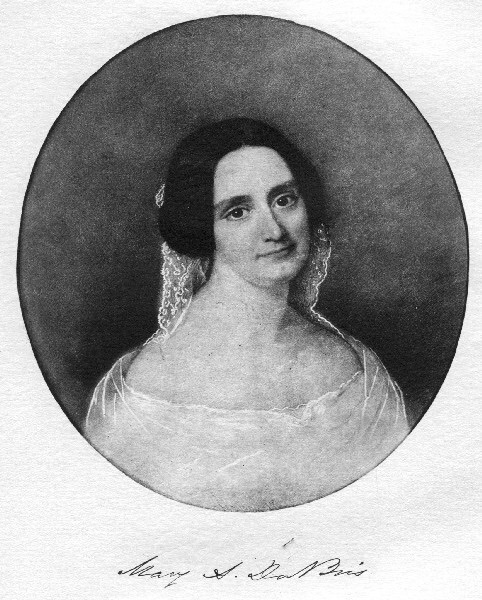 JOHN JAY had married Sarah LIVINGSTON, a daughter of the then Governor of New Jersey. He was one of the early patriots and revolutionary founders of this country. During the Revolution he had been sent to Spain to try and negotiate support from the wealthy Spanish crown, then had gone to Paris to negotiate with Benjamin Franklin and Henry Laurens the peace treaty with the English, had return, been made Chief Justice of the new court by George Washington and then negotiated another unpopular treaty with England, and ended as Governor of New York and worked to pass the ratification of the new Constitution while Governor. Their second son, Henry after the CivilWar, served with Indian Service in New Mexico. He moved to Mann County in California about 1868. Two of his brothers lived with in for a time. He was married to Emily Blois in 1880. They had four children . Alfred Wagstaff Du BOIS married Anna Lichtenberg. He lived for a period with his brother Henry in California. He died in Paris of a “hemorrhage” at age 47. This entry was posted in Du Bois history and tagged DuBois Family, Fishkill, Holland, Huguenot, The Jay Cemetery on July 27, 2014 by jsdubois28. I see you have copied without permission word-for-word my article on Dr. Henry Augustus DuBois, Jr. written for the San Rafael Patch. The very least you can do is provide attribution for the content, which took me considerable time and research effort to produce. I certainly can and apologize for using the material without permission. Henry Augustus was to me the most interesting of the children of HADB and CHJ and I have lost contact with his ancestors! Thank you for doing all the research. I am hoping to get out to San Francisco later this year. My wife is from there and I have a son in Portland. Would love to meet you when we come.